A superior sequel full of dimension-shifting fights and genuinely touching character moments. Ant-Man and the Wasp demonstrates how much director Peyton Reed (Bring It On, Yes Man) has developed since his early days of low-key comedy. He was famously brought in to help complete the first Ant-Man film at the last minute (replacing original director Edgar Wright), which resulted in another reason to trust Marvel’s cinematic universe. Three years later, he’s back to do it all over again – and do it better than ever. Ant-Man and the Wasp is a fast-paced, action-packed comedy that makes full use of all the cool special effects we expect to see in an Ant-Man movie. Things switch from normal to big, back to small, only to expand to gigantic proportions faster than you can keep track, all of which makes the fight scenes even more exciting. This juxtaposition really works, especially when in service to helping develop characters in creative new ways. When Hope van Dyne (Evangeline Lily) takes on several goons in a restaurant kitchen early on in the film, she starts off human-size only to instantly shrink small enough to ride the edge of the blade of butcher knife before returning to full-size to deliver the final blow. It’s exciting stuff, giving fans the kind of gleefully absurd adventure they crave in a superhero film. In what some might argue to be his best movie to date, Paul Rudd returns as Scott Lang, a legitimate business owner and divorced dad who must entertain his ten year-old daughter Cassie (Abby Ryder Fortson) while serving out his last few days of house arrest. They go through built-up mazes in his attic and then careen down a slide through the entire length of the house and out into the yard, crashing through the fence and setting off his ankle bracelet. This is among the best and most endearing opening scenes I’ve ever seen in a superhero film, and it really sets the tone for what’s to come. It also isn’t often we see criminal behavior as the linchpin for a daddy/daughter relationship, but I guess that’s the power of Marvel at this point. Of course, Scott’s good intentions of being a stay-at-home dad, albeit a court mandated one, are interrupted when he experiences a dreamlike vision of Janet Van Dyne (Michelle Pfeiffer), the long-missing wife of Dr. Hank Pym (Michael Douglas) and original Wasp. After placing a much considered phone call to Pym our hero is once again sucked into action as the titular Ant-Man to help a newly powered Hope/Wasp and Dr. Pym rescue Janet from the Quantum Realm. Things really start to heat up when Scott and Company must not only outwit S.H.I.E.L.D. Agent Jimmy Woo (Randall Park, Fresh Off The Boat), who is determined to catch him outside his home to lock him up permanently, but also fight their way past Ava/Ghost (Hannah John-Kamen), the unrelenting villain whose stolen incredible new Pym tech that allows her to travel through walls and other impressive tricks. This brings out some great action and comedy scenes, along with fantastic interpersonal and character moments that give the film a sense of purpose beyond the fun quick-changing sizes of our superheroes. Evangeline Lilly’s performance as the sharp and quick-witted Hope van Dyne, aka Wasp, gives the film the added on-screen chemistry it needs. However, it’s unclear if Scott Lang should really be the object of her affection, whether due to a lack of actor connection or underdeveloped writing of the intended romance. Much like in the first Ant-Man, their romantic coupling feels contrived and unnecessary to the film’s larger aims. The cinematography, lighting and special effects were really superior and top-notch stuff, especially with how creatively the whole shrink/enlarging scenes are used for maximum fun. There are moments where you’ll wonder how difficult it must have been to plan and coordinate all the various angles, action scenes and constant changing of scale alone. Watching everything play out seamlessly onscreen you can’t help but appreciate the creativity that went into making it. 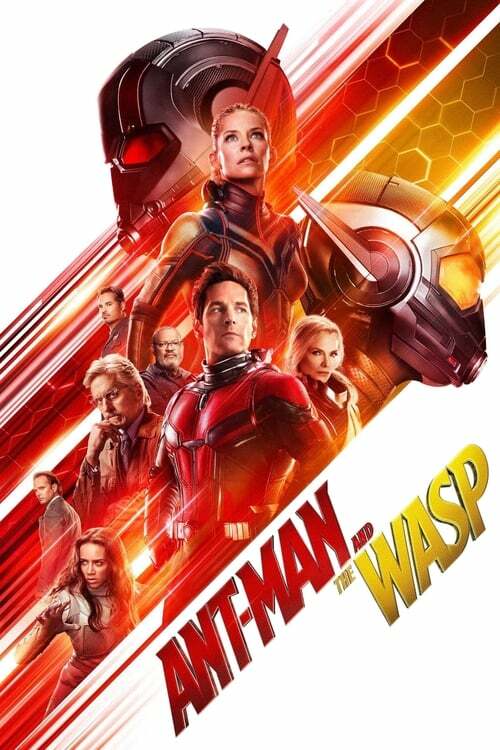 Ant-Man and the Wasp is saturated with several touching father-daughter storylines, oodles of personality in every character, and delivers a satisfying female antagonist in Ava/Ghost, who is ruthless, yet redeemable. While both our heroes and the antagonist seek the help of Dr. Bill Foster (Laurence Fishburne), ultimately he’s faced with a tough decision that Fishburne acts out beautifully. Overall, Ant-Man and the Wasp is yet another fun Marvel film that should be seen with the whole family this summer. If you enjoyed the first Ant-Man, you’ll especially like this one as it cleverly expands the world of these likable heroes with a touching story about family, friendship and enduring love – all of which fits beautifully inside Marvel’s universe of The Avengers. Which leaves us with just one question: how, if at all, did the events of Avengers: Infinity War affect events here? You’ll have to watch to find out!